PICTURED HERE: Natural light abounds in this stairway designed along side a glass wall. See full story, “The Wexley,” on page 12. Keeping you warm from the inside out! Unsolicited manuscripts accepted. Send to Editor, 6660 Old 28th SE. Ste. 106, Grand Rapids, MI 49546. ©2019 Summit Media. 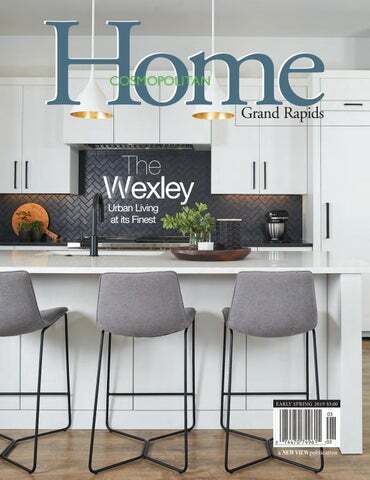 Grand Rapids Cosmopolitan Home is published by Summit Media Inc., 6660 Old 28th SE. Ste. 106, Grand Rapids, MI 49546. Subscription Rate: 1 year, $18.00; single rate, $3.00 (includes third class postage). Postmaster: send changes to 6660 Old 28th SE. Ste. 106, Grand Rapids, MI 49546. 616.828.6016 www.cosmogr.com No portion of this magazine may be reproduced in whole or in part without the expressed written consent of the publisher. Will You Spend Your Retirement Savings? Or, Leave It Behind? A key financial question for retirees is what to do with their hard-earned retirement savings. For example, some investors may find it more fulfilling to provide a college fund for grandchildren rather than purchase a second home for themselves. The opposite can also be true, and that’s okay. In my experience working with retirees,I’ve found it’s critically important to identify what each person’s goals are for their nest egg. Do they want to spend down their assets pursuing activities that bring them joy or leave an inheritance to loved ones? If you find yourself wrestling with the same question, read on for some considerations that can help determine the right approach for you. THE RATIONALE FOR SPENDING DOWN YOUR WEALTH On one hand, you may enter retirement with the primary goal of living the lifestyle you’ve worked so hard to earn. Pursuing a hobby, traveling, purchasing a vacation home or fulfilling another retirement dream may be exactly what you envisioned your later years to be. If you fall into this category, keep in mind that these plans likely come at a price. Spending often goes up in the first few years of retirement as retirees are enthusiastic about all the activities they want to do. Yet given the realities of longer life expectancies, it’s crucial for all retirees to be prepared for a retirement that could last for several decades. This means your savings will need to cover routine expenses, which are likely to rise due to inflation, as well as the potential for health and long-term care services. Ensure you allocate enough dollars for these purposes before deciding whether or how much money to spend down or leave behind. THE RATIONALE FOR LEAVING A LEGACY On the other hand, if your primary retirement goal is to leave a legacy to your loved ones, it’s important to start nailing down the details of inheritance plans early. As you do, keep in mind that your legacy includes what you plan to give as an inheritance upon your death, in addition to what you give and value today. Perhaps you are eager to give your children and grandchildren a helping hand.Your generosity could make a significant difference in helping them reach key financial milestones, such as achieving a college degree, purchasing a home or paying off a mortgage. Or, maybe you prefer to contribute funds to a charity, foundation, or alma mater that aligns with your values.Think about donating to causes that are most important to you or have made a significant impact on your life. Lisa Cargill, ChFC®, CLU®,CRPC®, CDFA™ is a Financial Advisor with Ameriprise Financial Services, Inc. She specializes in fee-based financial planning and asset management strategies. Ameriprise Financial and its representatives do not provide tax or legal advice. Consult your tax advisor or attorney regarding specific tax issues. Brokerage, investment and financial advisory services are made available through Ameriprise Financial Services, Inc. Member FINRA and SIPC. Some products and services may not be available in all jurisdictions or to all clients. © 2017 Ameriprise Financial, Inc. All rights reserved. New clients only: 20% off cut and color and complimentary conditioning treatment with blowout. 1 cup heavy cream 1 cup grated Parmesan cheese 3 cups baby spinach leaves cup halved cherry tomatoes, for garnish Place removable pan inside programmable pressure cooker. Using saute function, cook bacon, uncovered, until crisp. Use slotted spoon to remove bacon from pan. Drain bacon on paper towels. Leave 1 tablespoon drippings in pan; discard remaining. Add chicken to bacon drippings in pan in two batches. Using saute function, stir-fry chicken 2-3 minutes, or until cooked through. Use slotted spoon to remove chicken from pan. Repeat until all chicken is cooked. Press cancel. Stir pasta, broth, garlic, Italian seasoning and pepper into drippings in pan. Secure lid and set pressure release to sealing function. Select high pressure setting and cook 5 minutes. Press cancel. Allow pressure to release naturally 5 minutes. Move pressure release to venting function to release any remaining steam. Remove lid. Stir cream into pasta mixture. Using saute function, cook and stir, uncovered, until boiling. Boil, uncovered, about 4 minutes, or until sauce generously coats pasta, stirring frequently. Press cancel. Stir in chicken and Parmesan cheese. Place spinach and bacon in large bowl. Pour pasta mixture over top. Toss until combined. Ladle into serving bowls. Top each serving with tomatoes. CHICKEN AND WILD RICE SOUP Prep time: 15 minutes Cook time: 1 hour 1 cup shredded carrots 1/2 cup finely chopped onion 1/2 cup sliced celery 2 cloves garlic, minced 2 tablespoons butter or clarified butter 4 cups chicken broth 4 ounces (about 2/3 cup) wild rice, rinsed and drained 1 teaspoon dried thyme leaves 1/4 teaspoon salt 1/4 teaspoon pepper 12 ounces skinless, boneless chicken breast halves, cut into 3/4-inch pieces 1 cup plain low-fat Greek yogurt 2tablespoons flour 1/2 cup whipping cream In Dutch oven, cook carrots, onion, celery and garlic in hot butter about 2 minutes, or until tender, stirring occasionally. Place oil in removable pan of programmable pressure cooker. Place pan in pressure cooker. Using saute function, heat oil until hot. Add turkey and onion. Cook, uncovered, about 5 minutes, or until turkey is no longer pink, stirring to break up. Press cancel. Stir in beans, tomato sauce, diced tomatoes, broth, chili powder, garlic salt and pepper. Stir in macaroni. Secure lid and set pressure release to sealing function. Select high pressure setting and cook 5 minutes. Allow pressure to release naturally 2 minutes. Move pressure release to venting function to release any remaining steam. Remove lid. Stir macaroni mixture. Whisk together milk and flour. Stir into macaroni mixture. Using saute function, cook and stir, uncovered, 1-2 minutes, or until boiling. Press cancel. Stir cheese into macaroni mixture until melted. Ladle into serving bowls. Spoon dollops of yogurt or sour cream on top. W Wexley DESCRIBED AS A “CONCEPTUAL URBAN INFILL PROJECT” THIS BUILD WAS EXCEPTIONAL RIGHT FROM THE START. White walls and high ceilings offer an open and spacious feel to the main living spaces while custom plantation shutters allow for control of light and privacy, as well as providing warmth and depth. Touches of contrast were created with the porcelain tile fireplace surround and the built-in storage cabinets. Nickel gap siding was also used in key areas throughout the interior adding another layer of visual interest in the contemporary environment. Contrasting details are found throughout the mostly-white kitchen by Tru Kitchens such as the matte finish herringbone backsplash. Luxury vinyl plank floors from Century Flooring offer warmth, beauty and function for a young family with pets â&#x20AC;&#x201D; an option that continues to gain in popularity for its durability and beauty. The 26- by 48-foot floor plan is divided into thirds from front to back and from left to right. Working with a 16-foot block in room dimension is natural since building supplies come in two foot increments. This offered the owners savings as materials weren’t wasted on arbitrary dimensions. The home comes in with approximately 2,600 square feet above grade plus an additional 1,000 square feet in the finished basement — a fair amount of square footage in a pretty tight envelope. A singularly striking feature of this home is the exterior concrete block wall. Although the pattern appears random, an architect devoted extensive time working the blocks into an intentional pattern that captures its character and accentuates the lines of the home. In distinct sections, the main entry windows, stair tower windows, owners suite bathroom, and covered patio punch through the wall. A privacy glass entry door opens to a multi-use mud room that features custom-built cubbies for the family and a built-in dog kennel that can be adjusted to fit any size dog or transformed into storage. A mixing of metals can be seen throughout the home and was done with purpose and repetition so as to create continuity. For example, gold touches are carried through in the dining room chandelier, the kitchen pendants, and the powder room and stairway lights. Having various elements reoccur in different rooms and areas gives the home harmony. Offering the sophisticated design appeal of steel but engineered to meet a budget, cement fiber was painted to match the exterior window frames. Visbeen has found that using an in-house interior design team is the best method to carry the design completely and flawlessly throughout the project. “Designing a flat roof on the house allowed us to get some high ceiling heights on the main and upper floors adding to the sense of spaciousness,” said Peterson. “With EGR building height restrictions, a typical pitch roof would have cut into the square footage tremendously. A rubber roof installed and insulated properly with closed cell foam prevents any heat loss and ice backup.” Once inside the privacy glass door, a multiuse mud room features custom-built cubbies. The first example of the fact that this home has no wasted space, the owner appreciates the thoughtfulness that went into designing things the family needs like a built-in dog crate that can be adjusted to fit any size dog or transformed into storage. The sweeping, glass-walled stairway was one of the more challenging aspects of the build as the tubular steel stair system abuts the oversized, structurally-reinforced glass. To prevent condensation issues, an effective HVAC system keeps air continually moving over the surface of the glass. The sweeping, glass-walled stairway is the owners’ and the dogs’ favorite place to soak up passive solar and the views. Peterson points out that it was also one of the more challenging aspects of the build as the tubular steel stair system abuts the oversized, structurally-reinforced glass. To prevent condensation issues, an effective HVAC system had to be thought through to keep moving air over the surface of the glass. Another benefit of the stairway is that it brings in much-needed light to the basement. Natural light in combination with Holmes’s light color scheme creates an inviting bedroom and en suite bathroom for guests, a man cave, and a family room. Working with 1200 by 50 feet on the second floor, Visbeen was able to get a laundry room, three bedrooms with generous closets used to create sound barriers, and a large playroom that doubles as an owners suite sitting area. Rather than having the wasted space of a hallway, Visbeen used the playroom as the transition to the stairs — a good example of a flex space changing from a private sitting room to a family TV room during the day. The private patio area off the kitchen features a Phantom screen that lowers from the patio ceiling to transform it into a screened porch. When the doors to the kitchen are open, the space feels bigger while bringing the outdoors inside. A striking feature of this home is the exterior concrete block wall from Michigan Certified Concrete Products. Although the pattern appears random, extensive time was devoted to working the blocks into an intentional pattern that captures its character and accentuates the lines of the home. Offering the sophisticated design appeal of steel, cement fiber was painted to match the exterior window frames. A flat roof on the house allowed for better ceiling height on the main and upper floors. A rubber roof installed and insulated with closed cell foam prevents any heat loss and ice backup. West Michiganâ&#x20AC;&#x2122;s leader in quality assurance and customer satisfaction. Offering full service design, fabrication and installation. hen you see this inviting home perched on the shore of Bostwick Lake, it appears to exist seamlessly as though it simply belongs there. Built in the late 1990s, that wasn’t always the case. It took the visionary skills of Mary Burns of Gallery Interiors and Rockford Kitchen Design Studio to bring out its true personality, and Ryan Whitmore of Whitmore Custom Homes to execute the details of this New England charmer. Michigan has 11,037 inland lakes and no point in Michigan is more than six miles from an inland lake. Burns’s firm is based in picturesque Rockford and specializes in lakefront design. “The lake is the most important part of the home’s landscape and my number one goal is to capture a view of the lake from every possible room of the house. Unobstructed views out of large pieces of glass is the focus,” explained Burns. Bostwick Lake is a private 217-acre lake and the largest body of water in Cannon Township. Connected to the headwaters of Bear Creek, it is one of Michigan’s cleanest lakes and its sandy bottom makes it great for recreational activities. This home had served its occupants well over decades of child-rearing and working-to-live, but it was time for the home to embrace its beautiful lake setting and become more functional for empty-nesters who were looking to age in place. Unless you’ve built a custom home, you might be unaware that behind that fresh façade is hours of imagination, meticulous design, and in this case, over a year of batting around ideas before the ground was broken. The original structure was a tall, narrow, two-story with vinyl siding and back deck. Now the home has a defining center line, designed with awnings and a large back patio with substantial supporting columns. The home actually presents two fronts: one from the road and the other from the lake where extensive landscaping enhances the lake view. Gallery Interiors and Rockford Kitchen Design Studio is not a typical design house since they’re able to take design from creative inception all the way through to finish. With 33 years of experience, Burns and her firm are very focused on the details and fortunate enough to be able to work with the right partner who could bring about the changes Gallery envisioned. The home owners were immediately comfortable with Ryan Whitmore. When you have a client-driven project of this magnitude, the melding of personalities is critical. Having collaborated on a 2018 Parade Home and other projects with Whitmore Custom Homes, the team was already in place. “The team is everything,” said Burns. “A collaboration of professionals that are focused on the details always results in the best possible presentation for the client.” In contemplating a renovation, one of the biggest decisions for a homeowner to consider is the financial tipping point in tearing down versus renovating an existing structure. Knowing that tipping point is the value that an experienced team like Burns and Whitmore bring to the table. “It was modern construction so we weren't working with a 100-year-old home,” explained Whitmore with his engineering background. Two islands, topped with Canyon Dawn dolomite, create a central walkway allowing for ideal flow when entertaining. The surfaces have the depth and beauty of marble but are superior with regards to staining, water absorption, and abrasion. Thermador appliances and a 48-inch gas range were a requirement for the owners who both love to cook. Large windows embrace the water view and connect the interior to the lake. outside — should share a common thread so the finished elements reflect a seamless transition; the home looks as if it’s always been that way. “We put vellum over the existing home plan and draw a design rendering indicating what we’d change and add. It’s the easiest way to see it. This was a really tall, narrow, two-story, vinyl-sided home and I wanted to start by giving it a waistline,” she laughs. Once the home had that defining center line achieved with awnings, a covered front porch and back patio with large supporting columns, and a cantilevered swooping roof line, the design work became more manageable. “Everything in the design, including the materials, is selected here at Gallery, then we partnered with an engineer to execute our design,” said Burns. room. To really grow the entertainment space, Whitmore borrowed height from the crawlspace and tore out the main floor to create one level contiguous space. With the addition, plus large floor-to-ceiling windows, the living space now runs parallel to the lake and embraces the water view. With the goal of unobstructed views, Burns kept everything off the view wall and the home now feels connected to the outdoors. The way that homes flow now is completely different from how it was decades ago when this home was first constructed. Kitchens used to be tucked out of view while the food was presented in formal dining rooms. Although this pattern has been developing for quite some time, this ’90s home hadn’t gotten the memo. “We don't live like our parents; we live in a much more casual manner,” Burns explained. “These ideas aren’t mine, nor are they new, but my job is to design in such a way that the home functions beautifully for its owner.” The kitchen is the heart of this home and since its renovation kicked off the entire process, it was obviously an important space for the home owners who are both amazing cooks. Thermador appliances and a 48-inch gas range were necessities. After all, watching your hosts prepare the food is part of the entertainment — especially when the stage reflects their true personality. “During a renovation or any building process, the budget needs to go toward important infrastructure costs like quality windows and mechanicals, and often the homeowner will decide to use builder-grade hardware and lighting,” explained Burns. “I counsel them to use semi-custom cabinetry in order to budget for designer-driven lighting, cabinet and door hardware. The double-sided fireplace is now one of the clientsâ&#x20AC;&#x2122; favorite parts of the renovation for the cozy ambiance it brings to the dining and kitchen spaces. The adjoining bar area adds to the ease of entertaining that this home was designed to do. Its rich, dark cabinetry anchors the space beautifully. The owner loves blue so there are pops of aqua color throughout the rooms and a fun, invigorating blue in the laundry room. Floors look like hardwood, but are actually random plank ceramic tiles for resistance and easy care with the amount of entertaining the couple will be doing. Jerusalem stone heated floors in the ownerâ&#x20AC;&#x2122;s bathroom extend into the shower providing added comfort to the age-in-place plan. From a tall, narrow contemporary to a warm, inviting New England-inspired charmer, the homeâ&#x20AC;&#x2122;s exterior effectively marries the design changes. To help the owners age in place comfortably, heated sidewalks from the house to the detached garage will make snow shoveling obsolete during Michigan winters. Hardie cement board siding and cedar shake from Standale Lumber offer texture and maintenance-free living. D E S I G N , F O R T H E WAY Y O U L I V E .
Some neighborhoods are too good to be true and some homes can never be replicated. Welcome to 707 Plymouth Road ... In the heart of East Grand Rapids, on a large .65 acre lot, this impressive home offers exceptional craftsmanship with high-quality attention to detail throughout. Character and charm abound with many modern updates and renovations. You'll appreciate the grand foyer with hardwood floors and original moldings, light-filled living room with marble fireplace, spacious formal dining room, beautiful library and three-season room with fantastic views of the sprawling backyard. A recent full renovation and addition offers a gourmet kitchen and family room area that blends traditional artistry with the latest amenities. Upstairs you'll find the owner suite with rooftop deck, two additional large bedrooms with updated bathroom, a guest suite over the garage, and convenient laundry room. The perfect family home in a premier neighborhood. THE FUTURE IS NOW AS TECHNOLOGICAL ADVANCES continue to enhance our daily lives, it comes as no surprise that the movement has taken hold of our kitchens. Homeowners are excited to relish the benefits of the latest and greatest appliance technologies from remote light controls to smart screen display fridges, there are plenty of genius updates to make our lives easier in the kitchen. In fact, the “smart kitchen” is an evolving aspect of kitchen design with many of today’s spaces being built around these Jetson-like appliances. Wi-fi enabled espresso makers can prepare your morning cappuccino before you even get out of bed and refrigerators that let you know when items are low are becoming common place. Have an older kitchen? Don’t fret. Sensors, smart gadgets and other devices can be added to existing kitchen features allowing everyone to enjoy these modern day conveniences. As kitchen design ideas of 2019 call for clearing spots above lower cabinetry, opt for under the counter appliances like microwaves and the like to keep them out of sight. And, the age-old tradition of buying appliances in matching suites is no longer the norm. Homeowners seem willing to experiment with a wider range of tones and finishes around the kitchen these days, selecting exactly what they want for both look and function. The inclusion of induction cook-tops is gaining in popularity as they utilize less heat keeping even the smallest of kitchens more comfortable when cooking. Plus, these smart cooktops eliminate the need for an obtrusive range hood, clearing the way for endless creative design possibilities. Other wish list items include steam ovens and technologically-advanced wine storage. Fast becoming the new “must-have” appliance, steam ovens cook food faster, retain more nutrients and flavor than conventional ovens keeping your meals juicy and delicious. And wine technology is evolving from big wine fridges to restaurant-quality single pour preservation systems. Why stop at opening one bottle when you can have a private tasting flight of four? Intelligent details, imaginative design, and space-expanding conveniences will make any kitchen easier to use and easier to clean. It’s a great time to be in the kitchen! Images supplied by Thermador Finish it Up One of the trends we see in appliances today is varying colors, styles and finishes. Stainless steel appliances continue to be popular but, a fast growing segment of homeowners are going to colors with a matte finish with a complementing shade on the handle. Options like black stainless, slate, black slate, cast, and white with a matte finish are becoming popular choices. The matte finishes are easier to care for and require less cleaning against fingerprints and smudge marks compared to some stainless finishes. Some manufacturers are even offering copper and brass as accents for handles and knobs. Just think about how often you use your appliances each day. They keep your food fresh, your clothes clean and so much more. How do we make sure our appliances last as long as possible? You Get What You Pay For Think of your appliances as an investment. Spending a little more initially on a unit that has quality craftsmanship and materials, will usually end up saving you money in the long run. The companies that care about how their products are built, are also those that tend to support repair technicians with training and replacement parts. Why is this important? If something goes wrong, you save money by having the appliance repaired instead of having to buy a new one. So, which is really the better investment? Consult A Professional You can get ideas from websites and online reviews, but do you really know what your specific needs are or what will be best for your space? A career professional has seen it all. When consulting with them, you learn from their successes and failures before you make your purchase. They can tell you all about the latest features, but more importantly, they can determine why it would, or would not, be a good fit for you. Technology is Evolving While some of these new “smart appliance” features may seem like an added benefit, they can also cause a lot of frustration or expensive repairs if they fail. Customers want quality appliances that are going to last a long time, even if that means giving up some of those trendy features. installed flush with the countertop. Some appliances can even damage your home if they are not vented properly. While no one wants to think about maintenance when purchasing, at some point over the course of its lifetime, your appliance will need it. If your refrigerator stops cooling in July, do you really want to call a 1-800 number? Too many people get the runaround from the 1-800 number service and just buy a new refrigerator. Again, is that really saving you money in the long run? Try Before You Buy You may be certain that a microwave drawer would be perfect for your home, but did you know that it, just like all appliances, has pros and cons to its design? The best way to determine what is truly right for your lifestyle and space is to test out a variety of appliance options before you buy. You wouldn’t buy a car without test driving it first, so why would you buy an appliance without doing the same. It’s important to visit a showroom where you can turn on the burners, run a dishwasher cycle, run a load of laundry, see how fast a pot of water boils, etc. It’s truly the best way to narrow down which features are important to you. The Big Picture So, when shopping for your next appliance, think about the big picture. People who do this end up thrilled with their purchase, save money over the long run and get appliances that are perfect for their lifestyle and space. If it's time for your next kitchen update, check out some of the new finishes being offered today along with the higher performing induction cooking surfaces you will not be disappointed. PURPOSELY MISMATCHED IN 2019 INGREDIENTS IN A BOWL won’t be the only thing that’s getting mixed in the kitchen. Whether it’s classic with modern or urban with glamour, the heart of the home looks better than ever with a “mixing” of elements. These layers of style are developing rich, nuanced looks and, as usual, the showstopper of it all is the cabinetry with color and contemporary wood grains stealing the show. Upper cabinets are more and more commonly mismatched with their bottom counterparts while designated areas of wood cabinetry are making an impact. This mixing of finishes creates a different level of interest and offers a comforting appeal. Dark, moody colors are gaining popularity and black is a welcome accent choice here, there and everywhere. Function remains at the forefront of cabinetry design —if storage is inadequate or ineffective, endless frustrations and challenges happen daily. Fortunately, the 2019 kitchen is centered around making kitchen duties enjoyable. Small appliance garages, drawer dividers, pull-outs for spices, tray dividers, roll-out trays and caddies for pots and pans and a trash cabinet (or two) for garbage and recyclables provide a place for everything and everything in its place. The kitchen island continues to be a must-have focal point providing additional storage as well as being a great spot to highlight a contrasting cabinet color or finish. Islands are meant to create an impact as well as make a design statement. It seems going big is ideal as the island is a great place to house under-counter appliances as well as provide convenient seating as a casual dining spot. Gallery Interiors also houses the award winning Rockford Kitchen Design Studio. Featuring Fieldstone semi-custom cabinetry (www.fieldstonecabinetry.com) as well as hand-crafted custom. With the emphasis on interior space planning, from concept to execution we can identify your needs, wishes and budget to create your perfect space. everything from paint colors to window treatments, home furnishings, accessories, lamps and wall art. in the making, our team of experienced designers and craftsmen partner with our suppliers so we can create innovative design, and overcome any challenge to execute the project of your dreams. Our staff is not only knowledgeable, detailed and energetic, but most importantly, fun to work with. Our philosophy has always been one of service and integrity. We strive to offer practical solutions that are not only visually pleasing and meet the needs of our clients, but stay within their budget. 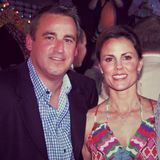 Collaborating with the professional Design Team at Standale was the best decision we made when building our dream home. The moment we met with them to select our countertops, flooring, paint colors, window treatments, and specialty cabinets we knew our home would be absolutely stunning. Working with our existing soft contemporary design, furniture, and southwest art our designer helped us create a home that is a timeless, beautiful, cohesive art-piece that communicates our story! Some designers insist on infusing their personal design but at Standale they want your personal style to lead and influence the direction, which was important to us.” – Karen W.
Designing a dream kitchen or bathroom is often a once-in-a-lifetime endeavor, which is why we take the time to customize your design to your needs. Whether you are selecting new countertops, adding unique backsplash, tiling your walk-in shower, or installing custom flooring, our designers are here to walk you through all of your choices and make your dream a reality. When it comes to products offered, we carry several quality cabinet lines like Decora, Holiday, Kemper, Kitchen Craft, Show Place, Marsh and Legacy. We are also able to complement your new cabinetry with fine quartz counters from top manufacturers like Cambria, Silestone, Dekton and LG Viatera. Our eagerness to provide you with great customer service has encouraged us to open two new stores in Grand Rapids and Ludington. Stop in today and let us help you with your next kitchen and/or bath project. What sets the Kitchen Studio apart from other home centers is our people. Our design team is made up of industry professionals with diverse background in all facets of interior, kitchen, and bathroom design. No matter how big or small your project or budget may be, our team is here to assist and advise every step of the way. As part of the design process, our designers meet with you to discuss what your needs are for the space. It’s very important to us that we understand how you work in your home, how the people in your home use your space, are you entertaining often, or simply need your kitchen for your daily family routines. With having a complete understanding of this, we are able to guide you through the design process and be sure you have everything that you will need to make your kitchen and/or bathroom more efficient and user friendly. been providing our community with building materials since 1999. In 2005, we expanded our offerings to include kitchen and bath products. We have since been a source for many building materials to homeowners, designers, and builders alike. When homeowners come in looking to do a project, we are able to connect them with one of our many contacts to help them make their dream a reality. Your kitchen designer works closely with whomever will be doing the install to ensure a smooth flowing project; whether that be yourself as a DIY homeowner, or builder. Our goal is to help you create a space that you enjoy with the products you love. The Professional’s Input Natural Wood Finishes Homeowners are increasingly seeking a stronger connection to the outdoors. This can certainly be seen in the architecture of our homes. With large expansive windows and gracious outdoor living spaces, we cannot seem to get enough. That desire has moved into the interior, and specifically into our kitchens; the heart of home, family and entertaining. Whether the house is French traditional, or a modern farmhouse, the use of woods such as white oak, walnut and ash are making a statement in kitchen cabinetry. Where It Starts Emerging trends begin in European markets and high-end residential or commercial projects. They are typically 1-3 years away from being fully embraced by mainstream consumers. Some emerging trends identified in Dura Supremes’ 2019 Trend Report are: Black Comes Back Historically, black has been used for architectural elements and is a classic look. Recently we saw black waning as gray tones emerged in mainstream design, but now we are watching the color’s resurgence in popularity in contemporary designs. The antithesis to the tendency to go for all white kitchens, black and moodier hued kitchen design ideas are sure to quickly add an elegant sense of drama, are easier to manage, and are an elegant alternative to standard ivories. Timeless in appeal and sure to add easy elegance to any kitchen, black cabinetry and appliances finished with either gold or copper accents and hardware makes for a grand gesture in any kitchen. Also of note, LED functional lighting systems are combined with oversized show stopping fixtures are a major design element for black cabinetry. Au Naturel! Brown tones in wood are re-emerging. As people retreat from white kitchens, we see them returning to beautiful woods. Walnut and rift oak tend to be top choices, but people are also moving toward white oak for a natural, organic look. Light, weathered, or distressed wood tones are also prevalent in flooring, islands, or other accessories in the home. This is where we will see a lot more barn wood and raw edge or live-edge looks. Time to Let Go Subway tiles may be timeless, but they are also beyond tired at the moment as you can spot them everywhere. Go beyond expectations and opt for tiles and patterns — like herringbone — that are more unexpected to give your home a unique edge. We as designers often get asked by our clients, "what is the current trend for today's kitchen?” This may sound like a reasonable and fairly easy question to answer but, kitchens as well as bathrooms are personal and should reflect your lifestyle. Today's kitchen is a gathering area for family and friends to not only enjoy well-prepared food and drink, but also a space for social events or to ponder daily or life happenings. Let's discuss some considerations and food for thought as you put together a kitchen plan to suit your design taste and lifestyle. Gone are the days of oak cabinetry in a honey spice stain, or dark cordovan cherry finishes. Subtle natural hues such as driftwood colored glazes and cerused oak are taking over. Bleaching woods such as oak and walnut, allow beautifully soft layers of colour while still exposing the grain of the natural product. Cabinet Colors White and grey are still popular, but they are starting to fade from the last decade of prominence. Colors of blue, green, brown and black are starting to emerge again. There is also a movement towards wood-tones re-appearing with hickory and walnut being the trend leaders. With so many options, many homeowners are staying conservative and using a white or grey on the perimeter of their kitchen but are stepping outside the traditional box by choosing a complementing finish for their islands. Lifestyle Many of today's kitchens include easier access to the items that we use the most. Cabinet companies have added a variety of accessories throughout the past five years to make life easier in the kitchen. The traditional wall cabinet is still commonly used, but manufacturers have added more choices like open shelves and pull up doors that have a bi-fold mechanism for an easy storage solution. Base cabinets now have various choices to help you organize your everyday needs. From pull out trash/recycle cans to the numerous options for corner bases — kitchen designs are meeting the demand for personalization. Discuss options with your designer and make sure that your new kitchen has plenty of variety that includes cabinetry to simplify life. We love paring the organic nature of wood cabinetry with a little bling! Above, Character White Oak cabinetry in a London Oak finish is paired with warm brass tones in hardware and lighting. The wood cabinetry sits beautifully on natural stone floors, or in this case, painted concrete tiles. Every element comes from nature; cabinetry, flooring, countertops, and you can really feel it! The dressiness of the brass and formal feel of the marble countertops, elevates the room in lightness and refinement, while the cabinetry grounds it. With so much variety, take your time and make decisions for what makes sense in your life. Simplicity in the cabinetry itself is also key to this trend. Slab fronts or recessed panel doors with wide rails and stiles allow one to appreciate the details in the wood itself and not be distracted. The inset nature of the cabinetry is something we are passionate about. It really does set cabinetry apart as furniture and allows the room to feel like a true space for living. The Professional’s Input Dark Hits the Mark Dark countertops make any kitchen or bathroom feel sophisticated. They pair well with light floors and light cabinets, adding an element of warmth to the space. A Combination of Things Combining many different materials in the kitchen and bath allows for a little more personality to shine through. Mixing stone countertops with glass shelving and metal hardware creates a trendy and unique space. Eclectic kitchens are always fun to design, and mixing and matching materials is what it’s all about. Go For the Bold Boldly patterned backsplashes, especially ones that are full-height and that integrate with countertops, are a hot look for 2019. Bold, black countertops and backsplashes are also being used in bathrooms, offering a rich and opulent feel to the space. – GREAT LAKES GRANITE WORKS In Vein Veiny countertops add character to modern kitchens. Whether in quartz or natural stones such as marble and granite, including veinypatterned countertops to kitchen designs is a popular trend that won’t be disappearing any time soon. Marble is Timeless Marble counters have been around for quite some time, and they will remain a popular choice for ... well, maybe always. Marble adds a touch of luxury and sleekness to a space, whether in kitchens or bathrooms. It can be used for counters and even for backsplashes. And, for passionate bakers, it’s the ideal choice because it keeps dough cool, is nonporous (when sealed), resistant to bacteria and it’s easy to clean and maintain. Textured Counters For years, stone countertops have been polished and shiny. While this is still popular and beautiful, many homeowners are deciding to step away from this traditional look and go for a different type of finish on their countertops. Now leathered finishes are gaining traction in interior design. A leather finish is a newer style that gives the countertop a “river-washed appearance.” While polished countertops have a high-gloss finish, leather-finished countertops don’t have nearly as much shine to them. This lack of shine makes the countertops great at concealing smudges and fingerprints. The texture will vary from piece to piece, and some stones will have a much more pronounced leathered finish than others. Regardless, the overall effect is warm and inviting, chic but still a bit rustic. It also further enhances the fact that your slab is a unique, natural material and that its beauty lies in its variations. Leathered materials are a nice middle ground between polished and honed: there’s just enough texture and sheen to show off all the stone’s natural characteristics without having the higher maintenance of a mirror-finish. These qualities also mean that the stone will show staining, scratches, smudges and fingerprints less. So, what kind of stone can be leathered? Granite is the most popular, but quartzite and marble can also carry this technique well. Waterfall Edge In the world of kitchen and bathroom design, few aesthetic innovations have stirred as much interest as the waterfall countertop. Whereas a traditional countertop has a single horizontal surface that ends at the edge of an island, peninsula, or bank of cabinets, the waterfall drops vertically down the sides, creating a continuous flow all the way to the floor. It’s all about looks, a way to put any granite, quartz, or marble on display. This can be a stunning focal point, linking floor design with cabinetry in one dynamic sweep and elevating an ordinary island to the level of fancy furniture. This waterfall countertop offers strong, clean lines to any kitchen or bath. VEINS & GRAINS THE COUNTERTOP CHOICES for 2019 focus heavily on color, texture and material with warmer and darker tones becoming more prevalent. Quartz remains high on the list as it is extremely versatile, nearly indestructible, is a breeze to maintain and is antimicrobial. However as kitchen islands are getting bigger and better, your countertop choice might be the biggest influence on your kitchen’s style. When quartz first came into the countertop market, the main obstacle was the lack of variety with colors and finishes. But, thanks to technology, manufacturers have provided an extensive range of colors and realistic stone patterns to choose from — elaborate swirls and large veining that imitates other stones such as marble has made quartz hard to resist. Layering texture and pattern is a crucial element in any good design. Countertops are game here as well. Honed and leather surfaces are on the rise and can be applied to many different materials including granite, marble, and quartz. These finishes have the durability needed in the kitchen but give a drastically different look to the space. A polished finish is still very desirable but there are advantages to the aforementioned options. A honed finish is a matte finish with little to no shine. The overall look will vary depending on the stone type, but it should have a low sheen and a smooth surface. Honed finishes work well with marble, since it’s lack of shine conceals any flaws or scratch marks more readily. A leathered finish is a newer style of treatment and has become more popular in recent years. It has a soft sheen that is less glossy than a polished finish and offers a different feel to the touch. The leather finish retains the stone’s natural color giving it a more sophisticated look than honed. It also hides fingerprints and water spots which is very appealing. Finally, another must option for adding warmth to your kitchen space is a wood countertop. Salvaged wood, butcher block and species with lovely grains are showing up in every style kitchen but the key here is just in one spot or “station.” The beauty of a wood countertop is that a little adds a lot. 616.785.3088 • greatlakesgranite.com Known for its quality stone, expert craftsmanship, and exceptional customer service, Great Lakes Granite Works has served builders and homeowners throughout West Michigan since 1992. The largest fabricator and installer of granite and quartz in West Michigan, the company designs and installs dramatic countertops, vanities, fireplaces, and tabletops to client specifications. Great Lakes Granite Works takes great pride in their hard earned reputation, and works tirelessly to maintain it. Their entire team, from sales to installation, cares about each project. They acquire the best material for each project, and invest in the area’s finest craftsmen and machinery. You can find comprehensive information about granite on their website: www.greatlakesgranite.com. AT A GLANCE GREAT LAKES GRANITE WORKS Established in 1992 Family owned and operated 30 full time employees OFFERING: granite, marble, quartzite, engineered stone, and porcelain. LARGEST OFFERING OF REMNANTS IN WEST MICHIGAN. At Great Lake Granite Works, customer loyalty is about exceeding expectations. more than 500 spectacular granite colors, as well as an extensive variety of other natural and manmade materials, including a variety of quartz and porcelain products. You’re welcome to visit their showroom, located in Comstock Park, and choose your color or inspect your slab and approve it prior to the cutting and polishing process. In addition to their continued access of new material, the company maintains an inventory of over 1,500 remnants for use in various smaller projects. Granite Transformations also installs backsplashes and offers cabinet refacing. The cabinet refacing process takes slightly longer. Even so, a cabinet refacing project can be completed in 3 to 5 days depending on the size of the kitchen. The results are a spectacular new look to your kitchen cabinets in less than a week! It’s a quick and easy way for the homeowner to get dramatic changes in the look of their kitchen. “Our slogan is ‘Done in a day, beautiful for life,’” DeWitt says. The quick turnaround on the renovation work is due to the fact that “we can go over the top,” he says. In other words, the new product – countertop, backsplash or flooring – typically is installed right over the existing surface, which is much quicker than a traditional renovation resulting in less waste entering landfills. Offering a selection of stylish and affordable alternatives to traditional countertops Granite Transformations is well known for its unique ForeverSeal® technology, a polymer resin which is used to help strengthen and seal countertops that are ideal in kitchens and bathrooms. With over ten thousand happy homeowners as customers in Michigan alone, Granite Transformations is clearly a leader in the countertop renovation business. “We are your kitchen and bathroom renovation experts,” says Greg DeWitt, owner of the local Granite Transformations in Grandville, Michigan. Top of the World GRANITE, Inc. 616.791.7444 Topoftheworldgranite.com At Top of the World Granite we focus on quality and customer satisfaction. From the beginning to the very end we work to make your dream countertop come to life. Our showroom staff has extensive knowledge on color and countertop design. We pride ourselves on having stock granite and quartz colors at price points that are affordable and can connect with any design or style that meets your needs. Looking to do a small remodel? No problem! We have a large selection of unique granite and quartz remnant pieces. We fabricate granite, quartz, and solid surface materials; we do kitchens, bathrooms, bars, outdoor grills and fire place surrounds. You can customize your counters to fit your needs with sinks, edge profiles and finishes. Our state-of-the-art fabrication equipment cuts and polishes your countertops with top notch quality. Every job is complete with the quality and satisfaction we would want in our own homes. STATEMENT PIECES RICH AND LAYERED — the kitchens and bathrooms of 2019 aren’t afraid to combine different metals! You might see brass fixtures and copper hardware and silver finishes all in the same space. Statement sinks are all the rage boasting intricate designs, unexpected scales and fabulous materials. Pewter and gunmetal is on the scene as well giving more depth than just stainless or chrome. Is countertop space an issue? Problem solved with the sleek look of wall-mounted fixtures. This option frees up a little more counter space making it ideal for small powder rooms and half baths. The wall-mounting style also gives the faucet an updated, current look with the added bonus of no soap or other unpleasantries building up around the faucet base. If counter space is lacking in the kitchen, sliding cover sinks serve double duty by adding more prep space while hiding a sink full of dishes waiting to be cleaned. Inspiration for a luxurious bathroom design can come from many places but, it seems the freestanding tub always steals the show making a stunning impact on the room. Keep the drama going by choosing a floor-mount tub fill. These elegant fixtures come in a variety of styles, from sleek and modern to vintage charm. The tall faucets make a statement and enhance the upscale feeling of having a freestanding tub. Some include hand showers for convenient rinsing and cleaning of the tub. Tech innovations continue to have a big impact on today’s bathrooms. How about a high-tech toilet that features seat warmers, automatic lid openers and slow-close options, an adjustable air dryer, and even built-in deodorizers? And then there’s the “smart” shower that knows your preferred water temperature and turns on your favorite tunes — singing in the shower never sounded better. Don’t forget the impressive faucets that turn on and off automatically based on hand placement which keeps water spots and germs away. The Spa Experience at Home Spa Lux bath designs are the look to keep on your radar for 2019! People no longer see the bath as a utilitarian space but more as an experiential space. Features like rain heads, steam showers, and freestanding tubs are all adding special effects to make baths your special place. Beautiful plumbing fixtures still deserve to shine, but drains are becoming invisible. Tiled, grouted shower floors are being replaced with luxurious marble or quartz slabs that acts to hide linear drainage lines beneath. A neutral palette in the shower is also trending - incorporating exposed shower plumbing in finishes such as Brushed Gold, Pewter, Gunmetal, or Black. Today’s fixture finishes are bringing texture and depth to the bath in a unique way. Take concrete for example, while this style may not be for everyone, its use in the bathroom is becoming increasingly popular. Concrete sink basins, countertops, and freestanding tubs are a few applications that we are seeing in the modern bathroom. Mixing it with beautiful wood vanities and warm faucet finishes creates a very organic stylish bath. With all the metal finish possibilities, wooden accents, and funky tile patterns, it only makes sense that the industrial vanity is a favorite. Its sleek and modern look fits in perfectly with this edgy, yet sophisticated remodeling trend. Industrial sinks can be matched with a pop of color, gold or brass accents, matte black fixtures, and fun tile patterns. This urbanized and trendy style is sure to make a statement in 2019, so don’t miss out. Bucket Sinks Also known as Trough sinks, bucket sinks join the list of vintage design trends that are predicted to make a massive comeback in the next year. Farmhouse inspired, these pans are family friendly and will add personality and a touch a nostalgia to any kitchen or bathroom. The Shape of Things Bathroom faucet shapes are going to be very important in 2019, as an increasing number of faucet brands look to the world of fashion for inspiration. There is also a real appetite for more modern looks in faucet design. To this end, expect to see an increasing number of faucets displaying clean lines and sleek finishes on the market — strengthening the trend toward sleek, understated elegance. Chrome Gets Some Competition In terms of finishes, chrome has been the strong leader for a long time; however, it definitely has some stiff competition. Most notably, black matte faucets have become increasingly popular. It's considered a neutral but still makes an impact on the space's design. And, black isn't just appearing in fixtures, it's popping up on shower door frames, sinks, tubs, and towel warmers. Gold and brass fixtures continue to add a dimension and depth to the muted and cooler paint colors of contemporary design. There's something very alluring about the contrast and so very different from the brass trend from the ’80s. WOOD OR WOOD NOT? AS TECHNOLOGY PROVIDES a larger variety of indestructible products, there is no better time to upgrade your floors. Wood and wood-look finishes dominate the market with lighter colors gaining popularity in 2019. Faux looks continue to impress with tiles that replicate the look of wood or just about anything else you might want. The options seem endless but here are a few worth considering: Luxury vinyl tile (LVT) is a vinyl-based material designed to mimic the look and feel of various materials such as wood, stone or ceramic. Believe it or not, LVT is a high-end product made better through technology and is becoming widely used in luxury homes. Made of several layers, it is highly indestructible and easily to replace or repair in the rare case itâ&#x20AC;&#x2122;s needed. Fumed wood flooring is becoming a go-to option and gets its unique look through a process where the wood is placed in a chamber and airborne ammonia is released. The wood reacts with the ammonia resulting in a color change and stronger grain noticeability, with varying results. If you prefer a softer, white-washed look, bleaching or blanching might be the right choice. For this look, a chemical solution is applied to the surface of the wood to rid the boards of color. The result is an ashy, white-washed look with the natural grain still clearly visible â&#x20AC;&#x201D; the charm and beauty of natural wood is still there but takes on a softer look. Distressed wood continues to be a favorite, giving your floors a luxury, aged look. The look is achieved by putting the wood through an artificial aging process that gives a slightly worn finish. Various procedures are taken depending on the degree and style desired. The edges of each wood plank are hand scrapped, swirl and kerf markings are added to imitate historic wood and the planks are brushed to remove gloss, giving a soft worn texture. Textured tiles are showing up everywhere and with good reason. These porcelain tiles have been designed to resemble all sorts of materials, not just in look but also texture. The latest and greatest porcelain wood grain tiles are almost indistinguishable from actual wood. The tile resembles wood not only in color and grain pattern but also in texture. If wood flooring is not your thing, there are also porcelain floor tiles that look identical to various kinds of natural stone. Advanced technology allows a wide variety of options â&#x20AC;&#x201D; this simple tile can be manipulated and styled in countless looks. Black and white tiles are continuing to be popular with bold graphics and patterns. Technology-inspired designs are giving homeowners the ideal blend of vintage with contemporary for the perfect look. Subtle colors are also making their way into this tile trend, creating nostalgia with some vintage inspiration. Carpeting is full of character in 2019 with bold patterns and sustainable materials front and center. Wool and silk continue to be popular in the high-end market, but jute is on the rise with its many design options and is also good for people with allergies. Low-pile heights remain popular as they are easier to clean and imprints from heavy furniture are less noticeable. Blue, green and burgundy will continue to appear in rug designs but multicolored styles are gaining momentum. While traveling to an event showcasing the hottest trends for 2019, an undeniable theme quickly became evident: PLAID. Every color, every style, truly a plaid for everyone! From very subtle to a bold version, for us, the charm of plaid is undeniable. When you think of plaid, a preppy may come to mind, when in fact, it can read modern, cool, and sophisticated. We also saw a whimsical and playful take on these as well. Who knew plaid could be funky? Yes, funky plaid is a thing! THE RETURN OF BLACK/WHITE is stronger than ever, but it was a prominent option at the event. The use of black and white creates contrast, showing a beautiful, timeless and chic design. This look is elevated and is sure to bring your home warmth, and a great conversation starter for years to come. PATTERNED TILE is also a beautiful trend. This printed tile look is now available in luxury vinyl tile (LVT) giving you the look of the printed concrete, without the price tag typically associated with it. The options are gorgeous and the LVT industry is just getting started with these looks. The trend of patterned tile and concrete are continuing to grow in 2019. VINYL-LY HERE Flooring manufacturers are providing more bang for the buck these days and concentrating on products that are sensible, low-maintenance and easy on the budget. This means more innovative products and variety have hit the market. And one that is really catching attention is the oh-so-resilient vinyl. Choices for vinyl flooring include a spectrum of styles, colors, textures and patterns. Add in vinyl’s easy-to-clean characteristics, comfort under foot and family-friendly stain-resistance, and the result is increasing popularity with value-hungry shoppers. Luxury vinyl tile is considered a top-quality resilient flooring with look-alike qualities that are increasingly difficult to distinguish from stone, wood plank and ceramic tile. The ability of these products to mimic traditional high-end materials, such as tumbled marble and exotic hardwoods, puts extraordinary good looks at the feet of ordinary homeowners at a fraction of the cost. GROWING GREEN Although the notion of green flooring has been increasingly important for years, the demand for commercial flooring that complies with LEED standards has helped lower prices for green residential flooring as well. That translates into more new products and more consumer acceptance. In fact, most flooring manufacturers are jumping on the green bandwagon, adding lines that boast high-recycled content and raw materials obtained from sustainable sources. For example, engineered wood planks made from such species as tigerwood or Brazilian cherry are being produced from forests that are managed with strict standards of sustainability and environmental responsibility. And, you’ll be happy to know, they’re priced reasonably making them hard to resist. Wood remains a classic for any beautiful home. The new twist is a Chevron or herringbone pattern created during the wood installation. This application could be used to feature an entryway, define a space, or create movement throughout the whole home. Several lines offer chevron planks to make install a breeze. for residential and commercial settings, many exclusive to Century. Century helps you navigate the vast options in their showroom, making your trip there as stress free as possible. In addition to residential and commercial flooring sales and installation, Century has a large service group that has two commercial options: Building Services and Floor Care, and now, they offer Residential Cleaning! Century offers carpet cleaning, floor cleaning, stripping and waxing, upholstery cleaning, marble and granite floor care, as well as full janitorial service for your commercial buildings. The residential cleaning team takes caution when cleaning your home and treats it as if it were theirs. Today, Century boasts 160 people who clean each night in West Michigan and at a satellite location in the Detroit area that performs floor care and janitorial services. Through local and state contracts Century does work in banks, schools, churches, retail outlets, malls, office buildings, golf courses, and restaurants. Century handles the cleaning for you, delivering clean facilities and peace of mind. Century has expanded its reach to builders, A&D firms, designers, and homeowners. Century continually aligns their strengths and experience in the flooring business with local designers to deliver success with your projects. As an HBA member, they are dedicated to the housing market in West Michigan and can’t wait to meet you so you can be treated as you deserve. Relax, we’ve got you covered! Century’s showroom is a great place for builders, designers, and homeowners alike to come to find the flooring that fits their needs, style, and budget. Choose from a variety of hardwood, luxury vinyl tile, laminate, tile and carpet flooring options. Century's commercial floor options are built to last for years. Their expert staff can help any organization achieve the look they desire. lation, sanding, finishing, and repair, thus magnificent natural variation and a wide making them the premier hardwood floor- board style. Offered in progressive color ing experts in West Michigan and beyond. options and made of engineered oak, the Riviera Collection creates a level of sophisRivershores also carries their own lines tication for any home with the convenience of flooring and materials, including of easy maintenance and lasting durability. Bamboo and their Riviera Collection of Engineered Oak. Whether you are look- Whether building new or remodeling ing to purchase a quality hardwood floor an existing home, the experienced design to install yourself, or you are looking for staff at Rivershores will help you design the further installation services, Rivershores ideal space and achieve your desired look. is your answer! With two locations in Holland and East Grand Rapids Michigan, they look forward The Riviera Collection, featured above, to serving you in your newest home renostands alone with radiant wire brushing, vation project! Rivershores Hardwood Flooring and Cabinetry Company has been providing West Michigan builders, designers, and homeowners with quality flooring and superior service. Rivershores also offers an array of cabinets, countertops and design services, an ideal resource when designing the interior of your home. THE GREAT OUTDOORS 2019’S BEST OUTDOOR DESIGNS are all about the outdoor room. From gourmet kitchens to outdoor dens, spending as much time outside is the big idea. Here are our suggestions for keeping your outdoor living spaces and landscapes top notch — warm weather is coming and we can hardly wait! Outdoor kitchens are being designed with the functionality of their interior counterparts, and include not only “super” grills but high-end appliances and wood burning pizza ovens. There’s not reason to make multiple trips back and forth from the inside kitchen, everything you need is all around you. Outdoor living rooms are including fireplaces and of course comfortable, weatherproof furniture. These exterior spaces are a great way to give your interior some time off, expand your home and take in the fresh air. Night time is an enticing to be outside when warm weather hits but requires a little glow. More and more landscape designs are including strip lighting to create inviting atmospheres and illuminate pathways. The energy efficient solar LEDs are an ideal option for creating a welcoming environment. Lghting below steps, seats, and benches yield an enticing ambience while keeping everyone safe in the dark. Outdoor ambience is critical and the right kind of plantings can make or break you design. The right selections will not only make your property stand out but will also enhance its value. Paying mind to native and noninvasive species is especially important. Here’s where a professional’s knowledge is a great advantage. Also, it’s important to consider what creatures you might attract or detract depending on your plant selections. Oversized paver options are a nice choice if you’re working with abundant space but smaller, textured options can add dimension to your outdoor design. A variety of new stones in smaller sizes have become popular adding a little more interest and allowing for unique designs. Every landscaping project we undertake is a product of close individualized collaboration between our landscape designers and you. complimenting the home rather than being a separate entity. At Rivertown Landscapes, our design philosophy is simple; it all starts with your wants and desires. Beyond looks alone, your landscape should be designed to fit your unique personality and lifestyle. Our collaborative approach to landscape design truly sets us apart from others and leads to genuinely unique designs for living. SCHOLTEN LANDSCAPE Serving West Michigan for 38 years 35 full time employees OFFERING: Landscape installation, Design, Fertilization, Lawn & Landscape maintenance, Snow removal & Salting services, Core Aeration, Tree service, Pest Control. Scholten Landscape is well rounded in the industry and can provide services of all needs to any level of client from large commercial customers to small residential and anything in between — they have you covered! Scholten Landscapes leadership is always looking at ways to better themselves as professionals in the industry from educating their staff to updating their equipment to meet the needs of an always-growing industry. Scholten Landscapes team is full of highly-educated individuals with countless years of combined experience in the green industry. They are confident in being able to correctly capture your biggest landscaping ideas and visions and bring them to reality to enjoy for many years to come! started out over 35 years ago as a one man and truck mowing service and has flourished into a full service Lawn, Landscape and Snow Removal company providing top of the line service at the upmost professional level.